If I Slip and Fall at a Pool, Can I Sue? The sun is out, and summer is here! This means pool parties and sunbathing. However, be careful of swimming pool injuries. You could slip and fall on slick and slippery floors. You could be injured from swimming pool chemicals. You could get electrocuted by improper wiring in pool lights. You may even drown because a lifeguard wasn't paying attention. So, if you get injured at a swimming pool, can you sue? The theory of premise liability holds a property owner responsible for injuries that occur on their property. Business owners have a duty to take reasonable steps to protect customers, also known as invitees, from harm. Private property owners have a duty to warn guests of known hazards. Did the property owner fail in his duty to keep the pool safe? Did the owner use too much or the wrong chemicals? Did the owner fail to put mats out to make wet surfaces less slippery? Did the owner fail to put up a fence to prevent small children from entering the pool without permission? Any of these actions could be indicative of breach. Did the owner's breach of duty cause your injury? 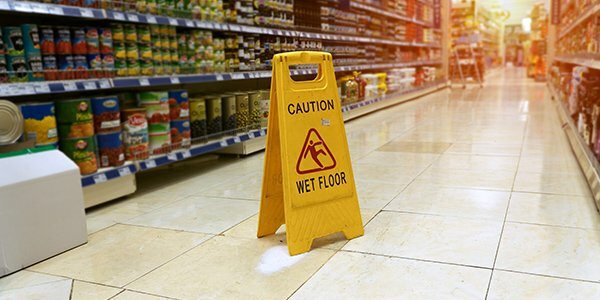 If you broke your hip because there were no mats and you slipped on wet pavement, the owner may be found to have caused your injury. However, if you cracked your skull because you dived into the pool despite a no diving sign, you may be found responsible for your own injury. Are the damages of you injury even worth pursuing? To win money, you must show that you suffered some kind of damage. Usually, this includes medical bills, lost wages, and compensation for pain and suffering. However, if all you suffered was a bruised hip and ego, you may find it difficult to prove any monetary damages. When you go to the pool this summer, be careful. Don't run. Wear sunblock. Check for a lifeguard if you're with kids or weak swimmers. If you do get injured, an experienced personal injury attorney will be able to help evaluate your claim and help you get compensation.